We’d love your help. 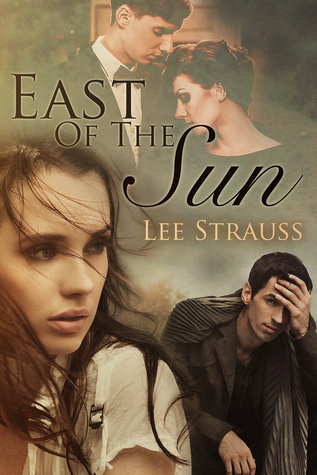 Let us know what’s wrong with this preview of East of the Sun by Lee Strauss. Eden Kelley is the primary caregiver for her mother who’s in the advanced stages of Alzheimer’s disease, and she’s only twenty-four. Not what she planned to do when she left her husband for a new start with her four-year-old daughter in tow. She’d hoped for free babysitting, but instead she found a mystery. The discovery of an erroneous marriage Regret is a formidable foe. To ask other readers questions about East of the Sun, please sign up. I read an earlier version for Kindle. The plot draws the reader into a situation of facing many traumas at the same time. The debilitating illness of a loved-one and a marriage separation lead Eden to realize she's made a terrible mistake and she needs all her strength to swallow her pride to admit she still loves her husband. I found the symptoms of Alzheimer disease very helpful in regard to understanding someone close to me. The book is worth reading on the strength of that alone along with t I read an earlier version for Kindle. I am confused, the characters are not so real, all at the extreme , and with contradicting behaviors. Beck is a great writer but I did not understand his intention of creating characters with many dimensions . I will admit that I Another fantastic book by Strauss. I really got hooked on the story these characters told. It was sweet and amazing seeing two similar lives from different times playing out on the pages in front of me. I wish we could have gotten a bit more of the lives of Eden’s mother living back in the 40’s. It was so very interesting, and I always thought that Strauss does a fabulous job giving us looks back into the past with her writing. You can tell she does her research and it shows. DNF. I just couldn't get into this one. Didn't care for the characters at all. The premise of the story was interesting but I found myself confused by jumps. A scene starts in one location and suddenly we're someplace else with no transition. This may be the result of translation. I also struggled with the dialogue. I wanted to like the story more, but the choppy and unnatural flow of events and dialogue made it awkward to read. As I said, they're is a solid basis as d interesting story to be told, but my personal preference would have been for it to follow more smoothly. Excellent book. The author tackles two emotional life situations: Alzheimer’s and marital problems. She tells a story of how a daughter helps her mother through her last days and how the daughters marriage is reconciled. This is a book that will capture you from the beginning to the end. Eden is a young mother, unhappy and bored with her married life in a small town, so she takes her 4 year old daughter and leaves her husband to live with her mother, thinking this will be a chance for her to start over. Only her mother, unbeknownst to Eden, has developed Alzheimer's disease, and Eden is nearly overwhelmed with taking care of both her and her young daughter. As she tries to make up for lost time with her mother, Eden also begins reevaluating her own life and along the way she uncovers family secrets that help to unlock her own happiness. Wow. I read this entire book in one sitting, it was that good! I normally read young adult books even though I'm definitely not a teenager anymore, but this book was amazing. When Eden leaves her husband, the last thing she expects is to find her mother suffering from Alzheimer's. Over time she realizes how deeply she regrets leaving Cade and unravels the mystery of her parent's marriage and life together. Such an emotional book with wonderful characters who go through very hard things, but never Wow. I read this entire book in one sitting, it was that good! I normally read young adult books even though I'm definitely not a teenager anymore, but this book was amazing. I am a huge fan of most everything Lee Strauss writes, but this one just didn't quite resonate with me. It's definitely a sweet story about a young woman learning to overcome her selfish tendencies, and you really do suffer through them with her. You will definitely feel with this one: Injustice. Frustration. Hope. Sorrow. Loneliness. The importance of family. The value of good friends and bad. This is definitely a read for older audiences. Clean language throughout, but also some disturbing situ I am a huge fan of most everything Lee Strauss writes, but this one just didn't quite resonate with me. It's definitely a sweet story about a young woman learning to overcome her selfish tendencies, and you really do suffer through them with her. You will definitely feel with this one: Injustice. Frustration. Hope. Sorrow. Loneliness. The importance of family. The value of good friends and bad. This is definitely a read for older audiences. Clean language throughout, but also some disturbing situations. One of the best contemporary romances I've read in a long, long time. Will definitely check out more from this author. Joan recommended "East of Eden" but I don't know if it is this author.